A poll of 300-plus citizens gathered for the inaugural Perth City Summit in August found parklets are the street activation people would most like to see. But why are they so desirable? 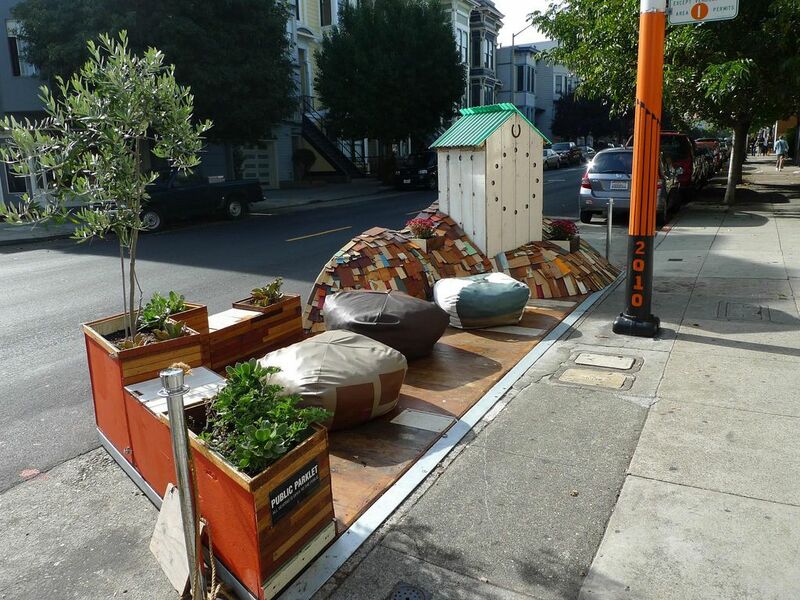 San Francisco is central to the parklet story. In 2005, the design collective Rebar turned a parking space into a “park” for two hours as a comment on the use and control of public space in the city. This was followed in 2006 by the installation of more than 40 temporary parks for PARK(ing) Day, now an annual international event. By 2010, San Francisco had introduced a policy to help create parklets. This has set an important precedent for parklet policies in Australia and internationally. There are now more than 50 parklets across San Francisco. According to its Pavements to Parks program, these parklets have “appeared … under the sponsorship of nonprofits, small businesses, neighborhood groups, and others”. This account conveys a strong sense of democracy and accessibility: anyone can install a parklet in their city, and apparently many do. The Deepistan National Parklet (aka “the Deeplet”), the parklet installed by Deep Jawa outside his home in the Mission District, is a celebrated example. We hear much less about the businesses behind parklets. Cafes, bakeries, bars and pizza shops have installed almost all of the 50-plus parklets in San Francisco. Deepistan is exceptional not merely for its topiary dinosaur but for its non-commercial nature. This is not surprising, since the proponent pays for installation and maintenance. And the costs are significant (typically these can be well over A$20,000). The term “parklet” can be traced to San Francisco (it was coined by City planner Andres Power as a catchier name for Rebar’s proposed “walklet”). But there are many other precedents for the intervention itself. Perhaps the most obvious, given the strong connection between parklets and cafes, is the long-standing use of footpaths and roadways as restaurant dining areas. The parklet outside Vans Cafe in Cottesloe, for example, was approved under an alfresco dining licence. Converting a parking space into a sitting space is hardly revolutionary. Yet advocates of parklets rarely make this connection. The story of parklets as entirely new, stemming from Rebar’s DIY park, is far more appealing, suggesting a bottom-up, creative and democratic remaking of the public realm. The link to one of the world’s most innovation-rich cities doesn’t hurt, either. 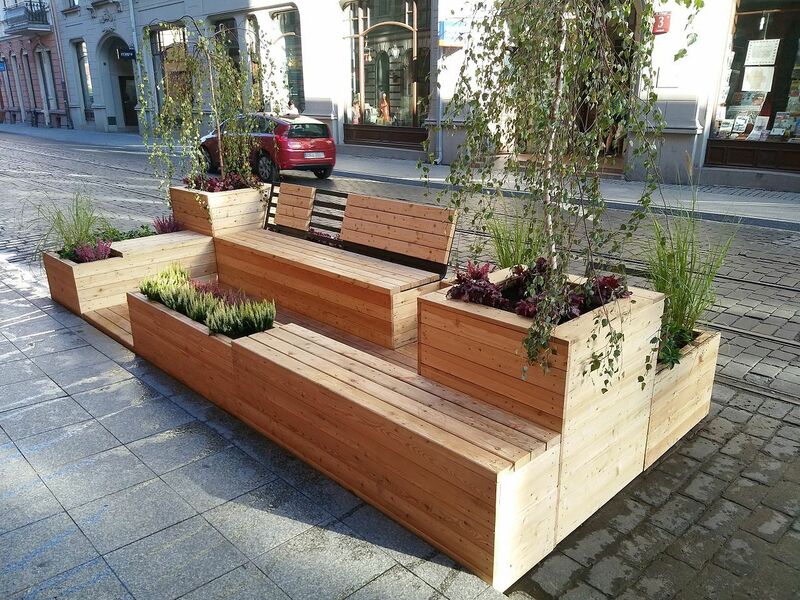 The reluctance of planners and policymakers to connect parklets to business also reflects concerns about the commercialisation and commodification of the city. 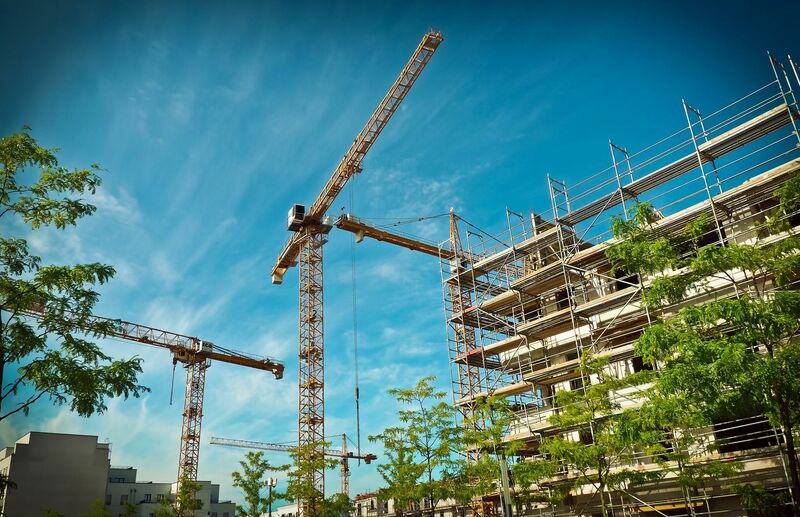 The problems of privately owned public spaces (“POPOs” – provided by large developers in exchange for variations to planning rules) are well documented, particularly the issues of high levels of management and surveillance. Parklets, however, are not privately owned public spaces. Parklets are installed on public land, are temporary and cannot be controlled by the business that installed them. Each bears a sign proclaiming the public nature of the space. Anyone can use parklets, whether they buy something or not. 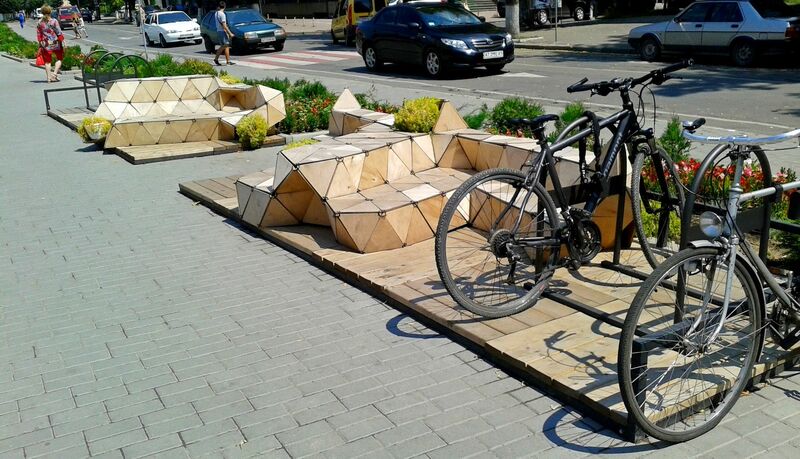 One might critique parklets for their scale, their distribution or their use. They are tiny and do very little to meet important needs for play, exercise or engagement with nature. Some appear a little neglected; many are in areas that are already leafy. In San Francisco, some parklets have been rejected for fear they will contribute not to community empowerment but to gentrification. As US urban activist and writer Jane Jacobs explained so powerfully, cities need more than parks and plazas: commercial activity is a crucial component of public life. Cafes are increasingly important sites for community interaction as other places for local exchange disappear, including banks, post offices, corner delis and newsagents, on top of the local hardware, haberdashery and other specialist shops lost to competition from larger retailers and the digital marketplace. Parklets present some hope for walkable, local commerce. Or perhaps their popularity has more to do with the lack of options for public participation in shaping the city. Parklets may be led by businesses, but they are local businesses, sometimes supported with public or crowdsourced funds, and parklet policies mean that the spaces cannot be private. Opportunities for participation are often much greater than for the larger public spaces created by professionals. They also show vividly how much space we waste on private cars. After parklets, the second-most-desired street activation, according to the Perth City Summit poll, was “creative installations”, followed by street events and murals. In comparison, parklets offer a more tangible and accessible option. Clearly, we can’t rely on businesses alone to provide adequate and appropriate public spaces. The role of local and state governments in providing a high-quality public realm continues to be important. But parklets show that businesses are not all seeking to play the system. As we think about public life, parklets might provide a useful model to build on.